Nearly every piece of advice these days for finding happiness includes something about gratitude, including everything from saying three things you’re thankful for each day to keeping a gratitude journal. The advice is sound — research shows gratitude makes us happier, healthier people — but actually practicing gratitude is the bigger hurdle. The good news, experts say, is there are easy ways to improve. With Thanksgiving quickly approaching, there is no better time than now to make gratitude a part of your daily life. 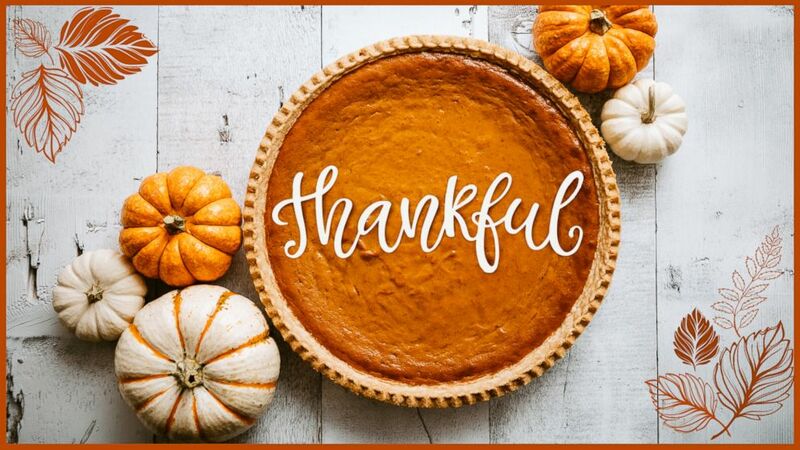 Starting to train your gratitude muscle now means that at Thanksgiving, you’ll be able to look past the burned turkey or the negative family member to see the moments that bring you joy, Achor explained. Here are the why’s and how’s of practicing gratitude, just in time for the holidays. Gratitude is the brain’s ability to find meaning in whatever environment you find yourself, Achor said. To make gratitude a habit, it helps to understand what a positive impact it can have on your well-being. Practicing gratitude can reduce stress, reduce depression, reduce symptoms of physical illness and just make you an all-around happier person, research shows. Does it matter what I’m grateful for? The short answer, according to experts, is yes. In other words, practicing real gratitude takes digging a bit below the surface. Instead of saying you are grateful for your job or your son, think of why you are grateful for your job and why you are grateful for your son. “It’s not what you’re grateful for that matters, it’s why,” Achor said. So how do I practice gratitude? Be intentional about noticing what you are grateful for all around you as you move through the day, experts say. To make it even more powerful, take time each day to write down the things for which you are grateful. Write your list in the morning or the evening, or both. Both have benefits, according to experts, but the more important thing is that you write it. Send a note to a family member, friend or colleague: Bernstein recommends using the Thanksgiving season to write a letter to a family member or a friend to let them know why you’re grateful for them. On a daily basis, sending just a quick email of thanks and appreciation each day to someone will have a positive impact on you, not to mention the recipient. How do I include my family? Including friends and family members in your gratitude practice not only makes it more fun, but more effective, Achor said. 1. Create a gratitude jar that you have everyone in your family add one or two things that they are grateful for from over the past year. Then read them as a family, and remind them again of them at New Year’s. 2. Create a digital photo album of the past year showing all the things you have to be grateful for. Then watch it as a family. 3. Do something collaborative with family, even putting together a puzzle or a game of touch football or your own Macy’s parade with your kids with balloon blimps.